Adjustable height of 23" to 29"
The Alvin Economy Drafting Height Chair is a functional and economical drafting chair. It features a pneumatic height control that allows height adjustments from 23 inches up to 29 inches. Its 15"W x 10"H hinged backrest that is depth-adjustable provides back support and convenient positioning. With a two-inch thick 16"W x 15"L seat cushion made of molded foam, it is ideal for long hours of sitting. 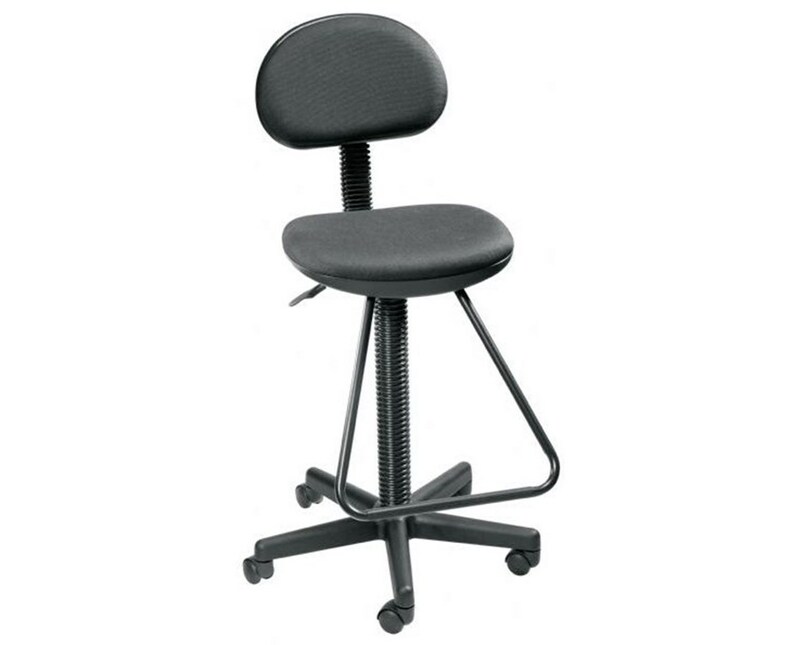 This drafting height chair is durable and stable with its 23-inch diameter reinforced nylon base. Equipped with five dual wheel casters, it is easily movable and totally mobile to ensure efficiency while in use. Its polypropylene seat and back shells are guaranteed to last for a long period of time. 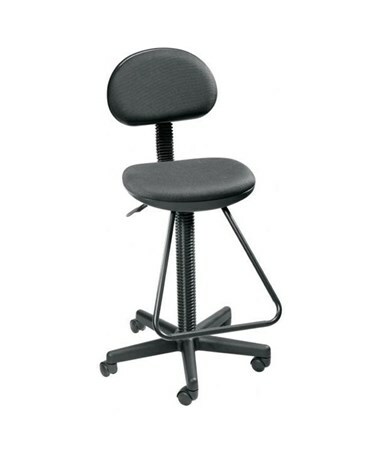 The Alvin Economy Drafting Height Chair comes with a built-in teardrop footrest for additional comfort and support. Made of steel, it is sturdy and gives a solid and safe place to rest the feet. This chair is attractive and professional-looking with its sleek black fabric upholstery making it ideal for office environments and studio settings. Adjustable Height 23" to 29"